There are many ways to enter special characters. Some of the ways listed below use tools built into Windows, while some require additional programs. If you already have the words spelled in another document, the easiest way is to copy and paste them to Citavi. This is also reliable, but not as easy. To open the Character Map from within Citavi, right-click a field, point to Special characters, and click Windows Character Map. Select a Unicode font (such as Arial Unicode MS or Segoe UI) and then scroll through the list of characters to find the one you need. If you frequently type in one other language, you may find it easiest to learn to use the keyboard layout for that language. To enable additional keyboard layouts, on the Start menu, in the Control Panel, open Regional and Language Options. Click the Keyboards and Languages tab, then click Change keyboards. Click Add, find the language and culture you need, and select the checkbox for the keyboard layout you want to add. Note that in Windows, keyboard layouts are selected on a per-application basis, so you may need to make sure that the desired layout is selected in Citavi, in Word, etc. 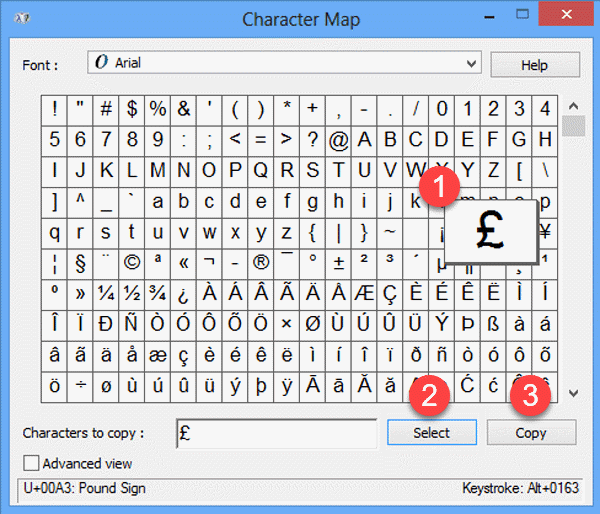 Citavi supports entering characters using the Unicode codes ("code points") that identify each character. You must know the code for the character, so this method is good for a small number of characters you enter frequently. The Character Map shows you the Unicode code point for the selected character (see #5 in the screenshot above). Type it in Citavi, and then immediately press Ctrl+Alt+U. PopChar is an inexpensive program that gives you a pop-up palette of characters. WizKey is an inexpensive program that gives you easy shortcuts to accented characters. Microsoft Keyboard Layout Creator is a free program to create your own keyboard layouts. For more information about Unicode text entry, see the Wikipedia article Unicode input.